Publishing a blog article is not as simple as a copy/paste/publish straight from a word document. 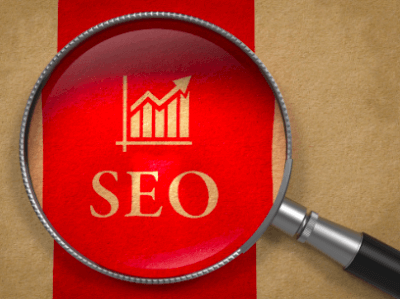 That’s the first step, but factor in keyword and search engine optimization (SEO), including images or videos, creating an effective title, URL and meta description, and this quickly becomes a much more in-depth process. HubSpot’s inbuilt tools quickly and continually scan your document for how and where you’ve used your chosen keywords or phrases, and provide you with guidance around the frequency of their use, how it interacts with other content pieces you have published, and essentially gives you the green light to publish only once you’ve satisfied the set criteria. This might sound demanding, if you will, but it saves you having a 12 item checklist to manually work through to ensure your content is optimised to be found and read by your target audience once it’s published and available online. There is very little point publishing fabulous content, only for it to be next to impossible to find on a Google search! I’d estimate this feature saves me at least an hour per piece – that adds up quickly when you publish several pieces of content per week. Another handy feature that could be easily overlooked is the free access to thousands of stock images for use throughout blogs and emails (basically wherever you’d like to place it!). This saves having an external resource to sift through and file and store your images. The searching, storing and integration of these images saves many fiddly steps and minutes at a time. Newer tools and updates have changed the way keywords are checked, lodged and used for optimisation in HubSpot. Rather than the previous iteration of single string keywords/phrases, it now allows you to build out content families and series, with multiple pieces centred around a primary focus topic. This allows you greater control over which content pieces you want to highlight and direct traffic towards, and is proactive in suggesting how to physically connect and link other pieces in the series so your audience can arrive at one page and seamlessly navigate through to others – maximising the time they spend on your website, and depending on where they are in the buyer’s journey, their level of engagement and action. While I still check Google searches myself for search volume and to check out which pages are ranking well, the keywords features have saved a lot of time with their guidance around search volumes, the difficulty you might face in ranking for term ‘x’, and relevant cost-per-click (CPC) prices for those who take that path! Social media’s reach and influence continues to grow and be a leading component in business’ content strategies. The ability to schedule and publish posts from one location for multiple social channels is a great time saver, and allows you to easily create and see the consistency or points of difference in your posts. Monitoring tools are also included for an overview of views and engagements, and further complement the tracking and monitoring of other features (such as calls to action you might include in a blog post) to create an overall picture of the success of your content publishing. The other side of publishing and reaching contacts that I use HubSpot for on a regular basis is newsletter mailouts, and event invitations where required. The newsletters can be created, filled with images and highlighting relevant CTAs, direct readers to landing pages or forms, all within the one tool. Sending the newsletter is as simple as adding the various contacts, either individually or as tagged/designated groups, and scheduling the best time to send it. I can quickly see who has received the email, who has opened it, who has clicked on any of the internal links, even how long people spend reading or scanning the newsletter. This HubSpot feature was particularly useful earlier in the year when we organised a half-day workshop. I could email invitations to our relevant contacts, see when and how the emails were opened, and then share this information with my colleague who was making personal phone calls to contacts at a certain stage to encourage registration. Likewise, when he found another contact to invite, it was a quick process to add them to the list and have these engagement metrics instantly available to view and action on. Using HubSpot as our marketing automation tool easily saves me several hours each week across just one aspect of my role, and honestly I would struggle going back to completing each part manually to achieve the same level of detail and comprehensive overview of our content strategy. It allows sharing of knowledge and resources between team members in a way that no manual approach could cover as successfully for the same effort or time. HubSpot is really another hard-working and valued member of our team! 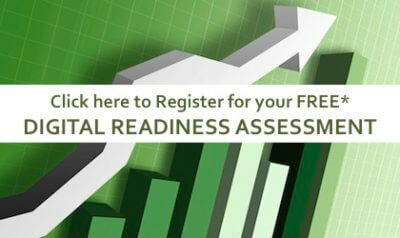 Find out more about how you could be further optimising and aligning your marketing and sales strategies using digital tools with a complimentary Digital Readiness Assessment. Working for other companies in various levels of maturity, I have found that the incumbent customer relationship management tool has ranged from either online shared Gmail tools, Microsoft suite or the old style note book and pen. Suffice to say they have their purpose and are thankfully superseded. These tools and the outbound process of cold calling and having no visibility into whether my communications have been received or even looked at are behind me at this point in time. My initial impression of HubSpot as a CRM was that it was an unknown – I have not used this tool before, I hope that it does not slow me down. Should I revert to digital note pad to create canned responses to my contacts? Should I create multiple signatures as canned responses in Outlook? Also yes, great – so where is my cold calling list to bang blindly away at! I found that the user interface was easy to work out and it also helped that HubSpot has easy to follow training videos that helps your people with getting a running start to the tool. The important point here is that it is a tool. But this particular tool has smarts about it. Uploading structured and relevant content documents (PowerPoint, Excel, Word, videos/audio etc) to the file system allows you to place hyperlinks into your emails that allows this system to provide analytics to the sender of the email. Where as before I was blind and ignorant as to whether a contact has opened my email clicked on the attachment and even if they have looked at the content pieces I have sent. Now I am able to see each time stamp when the email has been viewed. Hang on a second, I know you want more. This reporting goes further and also informs you as to when the contact has clicked on a link to your document(s), as well as which pages have been viewed and approximately how long each page was the focus. This is provided that you send them a link that allows them to view the link to the document(s) online. An important note here is to structure your content attachments so that you have one topic/service listed per page, with a table of contents at the front. With previous tools that I have used this level of data was not available and it resulted in repeated calls to the contacts to see if they had viewed the email or the document(s). More importantly it has allowed me to identify who may have needed a reminder and who has not opened a particular email, content attachment or link. For example: I was in recent contact with an ICT software development company. Part of my research included looking for triggers. Triggers are events that have been documented online that may be a pain point for your contact that may be a need that can be filled by your company. I found that they were advertising for a position, also additional research uncovered that there was a review on Glassdoor that reflected on the current culture within the organisation. Reaching out to the CEO of the company, I had a discussion around the position that was advertised. We discussed the particulars of the role and also details of the culture of the company as well. The result of the call was that I was to send an email with additional information to be reviewed. I included the link to the Glassdoor review as one of the links. Out of all the information that I had sent through to the CEO, the link that was clicked first was not surprisingly the Glassdoor review that was submitted by a former employee. The details of the Glassdoor review are not important to this overall picture. What is important, is that it provided me with some insights into the priorities that the CEO has for his business. When I review this contact in the HubSpot CRM now, I am able to see which other links he has clicked and which documents he has viewed. As a result, I avoid sending information that he has not reviewed, again, and instead look into content that I can send him that he has shown an interest in. It is important to note that at this point that you should not just rely on the marketing analytics and data report to supply you with all the information. Follow up with a call for validation from your contact. You can use this data to determine when the best time to call may be. As people tend to form habits calling at around the same time as the contact has been setting aside to read emails you have sent should result in being able to reach the contact more readily. The same can be said if the contact has not opened your emails as well. Calling to verify if they have been received your email will help you avoid the spam filter black hole. This level of marketing analytics and insights have not been available to me previously. It has allowed me to be able to determine the logical and informed next step, the next piece of content to follow with my clients. 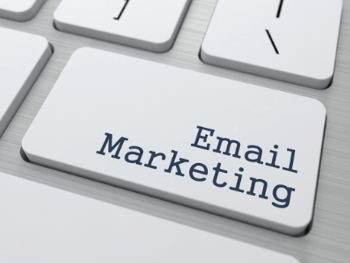 It is important to note that HubSpot also have a certified course on email marketing as well that I can recommend that will help with structuring your emails and the content that you send. The courses are free which is an added bonus and I have found that they have allowed me to further improve the quality of my engagement with inbound methodology to my customers. We used inbound marketing and HubSpot marketing automation to help win a new client in just 10 days. If you are not from a traditional marketing or digital background there may be some skepticism that marketing automation using digital channels and content can actually work. Companies who invest marketing dollars in digital content marketing and specifically using a leading marketing automation platform such as HubSpot does help generate more qualified leads. Higher ROI for lead generation can be achieved using inbound marketing and sales methodology than traditional methods like telemarketing. 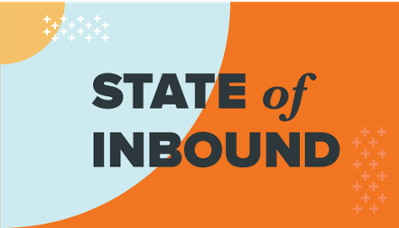 This article from Marketing Mag: Is Australia ready for inbound marketing? highlights an good example of the kind of results it can help a professional services business increase their sales and marketing leads with prospect engagement. If you asked me twelve months ago about the digital marketing approach as a sales person, I would still assume that many of our sales opportunities are still developed through the traditional channels of network referrals, direct sales engagement and picking up the phone to talk to prospects. 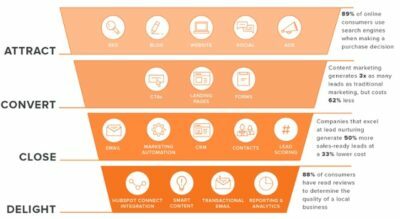 Now, if I fast forward twelve months later now, the first step was shifting my mindset to using content driven Digital Marketing channels with the concept of Hubspot inbound sales methodology. The second step was understanding how using the Buyers Journey can drive quality leads and data capture to help filter your prospects and find your more compatible prospective clients. See below how using the HubSpot CRM, marketing automation and lead data captured helped us sign a new client deal in just 10 days ( which would normally take about 30 days). This was demonstrable proof of how it helps lead generation, lead nurturing using marketing automation to generate quality leads. An important point to note is this is only one method out of the multichannel approach. This doesn’t replace other lead generation strategies which are still working, however an integrated approach has been proven to work best. It starts with a visitor to the website, then a getting a lead conversion via a landing page, the relevant published content and form triggers the prospect buying stage to a marketing qualified lead. Once this can be seen, the prompt for a sales representative to initiate a follow up call can be made. Lead scoring or qualified can be verification has been made from their digital interaction with us and associated reporting available. 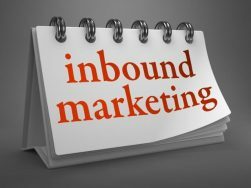 So how did the inbound process help with the automation flow and visibility of the marketing lead progress? HubSpot Marketing Automation was setup over a period of one month and content developed tailored to a persona of a Business Owner. We increased web site visits organically through release of relevant blogs. The blog content published were attracting visitors through the landing page, form and Call to Action offer – in this case was an E-book download for 7 profit multipliers. Track the MQL to SQL activities history and details with all online engagement tracked from Awareness to Consideration and Decision. Helped engage the prospect at the right buyers’ journey stage. Had an initial phone call with qualification and MQL (marketing qualified lead) then progressing to SQL (sales qualified lead) information handy which the marketing automation system provided depth of insight, timing and details on areas of interest. Proposal/quote sent after understanding the requirements. Received sign off from first meeting 1 month since prospect all within 10 days. In contrasting this with a traditional sales approach, it may have taken at least 30 days to reach an agreed contract and required multiple interactions from first contact with no validated knowlege when or if the prospective buyer was actually ready to purchase. The impact of marketing automation and the creation of a landing page, form and call to action offer demonstrated in the first 3 months of using HubSpot. This can be illustrated below from our first 90 days statistics which was generated from the Hubspot marketing automation platform. All reports (screenshots) can be viewed on a mobile HubSpot client for Android or iPhone. With the release of about 10 blogs articles, an E-book offer and form were published organically via social media channels of Linkedin, Google + and Facebook. This organically generated a 100% month on month increase in page visits. From the website visitors, we could see who filled in the registration form for the purpose of accessing our E-Book offer. The registered contacts can be used for lead nurturing, lead scoring or subscription for newsletters or updates depending on the content offer shared. We attracted our first conversion via this process and converted in the first quarter of implementation of marketing automation. Our hope is that upon regular content driving leads, further conversion will be more effective than outbound lead generation alone. I hope this shows that unlike the traditional demand generation process, lead generation with digital content inbound marketing does work to generate a higher return and potentially a shorter sales cycle if you can identify where the prospect is at in terms of their buyers’ journey stage and they are looking for assistance. To find out how using the HubSpot marketing automation system and lead data captured can also help your business find and close your more deals, just click below to register for more information. So being people resource short and reactive as opposed to proactive, the existing use of globally developed content and use of existing Salesforce CRM and Eloqua Marketing Automation Tools. In reality the use of tools, alone without people, process and sufficient time is a common cause of lack of ROI from the use of an Enterprise marketing automation tool to drive the correct results. Typically it’s the complexity of maximizing the functionality and investment in training required to get the effectiveness out of the solution. In speaking to the Regional APAC Event and Campaign manager, provided some depth of insight into the challenges internally encountered. A global campaign needs to be executed at APAC level, and the content is ready, however two older lists went cold and needed to be warmed up for exploring leads to hand across to the sales team. All current MQLs and SQLs activity are being performance reported back to global management via Salesforce CRM and Eloqua marketing automation tools. Primarily the challenge was a poor level of qualification with MQLs (marketing qualified leads) and handover to the sales team. So what was happening was that the digital landing page asset for a white paper was being downloaded from one touchpoint and then automatically tagged as a MQL. This MQL was then passed onto the Sales Representative to follow up on. The desired outcome was to accelerate the sales process with the marketing assets and prospect lead conversation through inbound marketing automation. There are two other assets that ideally the qualification requires interaction or content marketing engagement for a benchmarking survey. The request was to warm up the list and increase engagement with MQLs from promoting through outbound calling and inbound content engagement from the prospect with a list of about 500 contacts. After some initial consultation, we very quickly uncovered the business problem for the client’s marketing process was a gap in not mapping the extensive specific content catalogue developed to the buyer’s persona and aligned to the buyer’s journey. We proposed a marketing consulting exercise to review the existing campaign content pieces and map that to the buyer’s journey of Awareness, Consideration and Decision stage to enable a stronger lead nurture campaign. The objective was to try to accelerate the MQL to SQL process and phases with sales process improvement. We deliver a trial campaign to warm up the old leads but we are providing a HubSpot based service to track the marketing and sales funnel from developing a separate campaign landing page and form to be able to access the key three digital assets with white paper, e-book and benchmarking survey participation with prospects. This project was to run over three months initially. We have managed to provide more visibility depth into the MQL and SQL activity to connect closer to obtaining more prospect engagement through a consolidated and customised reporting from HubSpot and use its CRM as a lead generation outbound activity tool. Once budget in the new financial year will be approved to complete the buyer’s journey content mapping project in order to increase the quality and lead scoring for the lead generation and prospect engagement. This was setup and ready to commence within two weeks of approve to start this project. This case study highlights that typically a solution to a marketing challenge such as this involves a holistic approach with People, Process and Systems to address this issue and allow for more effective integrated marketing and sales engagement focused on the sales outcome. If you are exploring a digital marketing automation system or process improvement , contact Alchemise Consulting for an obligation-free discussion. Alchemise Consulting would like to acknowledge and thank you to our guest independent reviewer Jamie Strachan for providing this article. One of the key technology trends of 2016 in small-to-medium enterprises (SME) is the increasing adoption of sales and marketing automation tools to help businesses retain and grow their customer base and increase sales revenues. 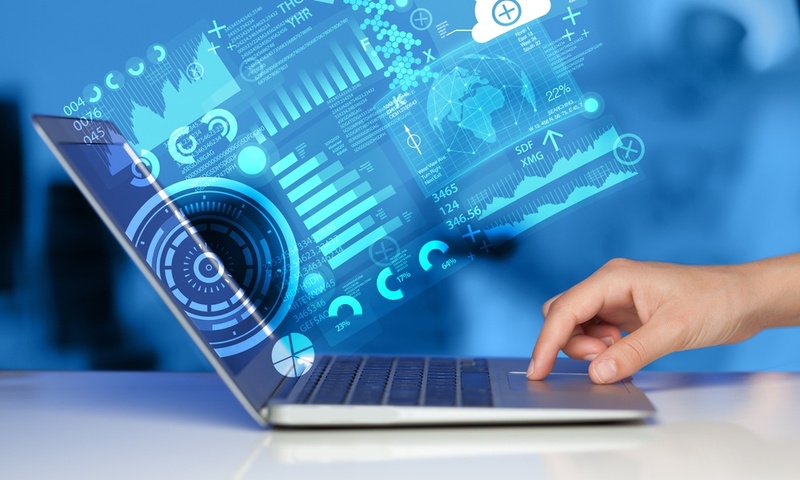 A recent SME Directions survey suggests that more than 60% of businesses plan to use automation technology in the next financial year to help cut costs and streamline existing processes. 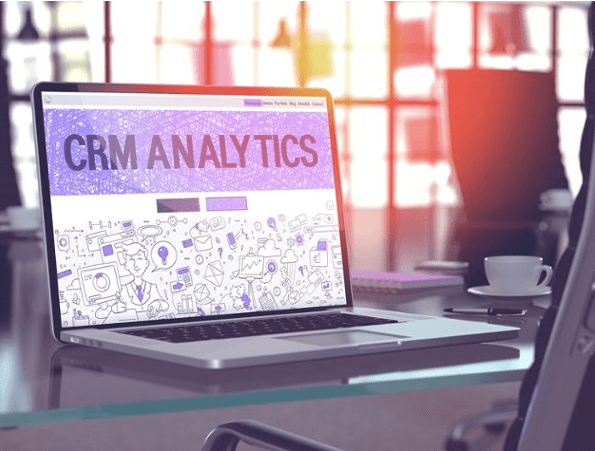 A benefit of this technology is enabling businesses to better understand their growing volumes of customer data with the use of customer relationship management technology (CRM), SEO and online and social analytics. This in turn helps to identify buying trends, devise targeted campaigns and revise and improve inbound sales and marketing strategies over time. Marketing automation tools allow both marketing and sales teams to work together more seamlessly. 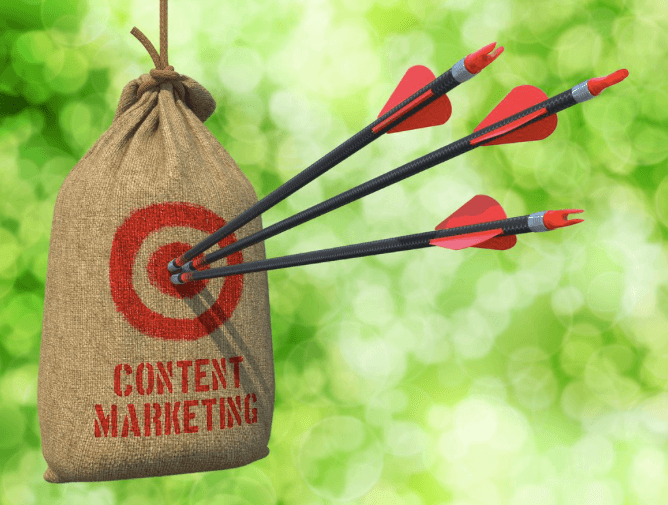 A lot of manual processes around content creation, management and personalisation are removed, while creating more qualified and targeted leads for sales reps to engage with. Lead and customer data is updated and shared by both teams and stored in the CRM. According to Forrester Research, companies that implement marketing automation experience a 10% increase in their sales pipeline contribution. HubSpot, a US-based company, is looking to lead the way in this market with a cloud-based platform offered to SMEs. For small businesses needing an “all-in-one” online strategy, HubSpot will host your site, publish landing pages and blog content, while optimising it for search engines with keyword research relevant to your content and market. Manage your social media presence (Facebook, Twitter, Instagram) with scheduled posts, and report on brand mentions and social engagement with your content and services. Grow your inbound audience by creating simple search and social media advertising all from within the HubSpot dashboard. Track and optimise your ads as you go to increase your traffic and conversions. Create targeted email campaigns to new and existing customers with strong call-to-action (CTAs) offers. Use HubSpot’s native CRM or integrate with Salesforce to track engagement with your campaigns, CTAs, and record all customer interactions with plug-ins for common email clients. Integration to your existing CRM via the HubSpot API is also available. 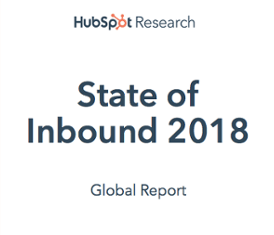 Taking advantage of the today’s growing Platform-as-a-Service (PaaS) offerings, HubSpot has built a robust, secure and highly-available service for its 18,000 plus customer base. Basic HubSpot CRM subscriptions are free for up to 100 contacts. As extra functionality is added for content creation, analytics, optimisation, CRM integration and more, subscriptions can range from AUD $300 – $3000 per month. With digital strategy becoming evermore critical to business success and revenue growth, HubSpot offers a compelling turnkey solution for traditional small business content management and hosting. Added to this sophisticated inbound strategies, marketing and analytics provide the secret sauce that can add real business value, grow the bottom line and makes sales teams and marketers more productive. 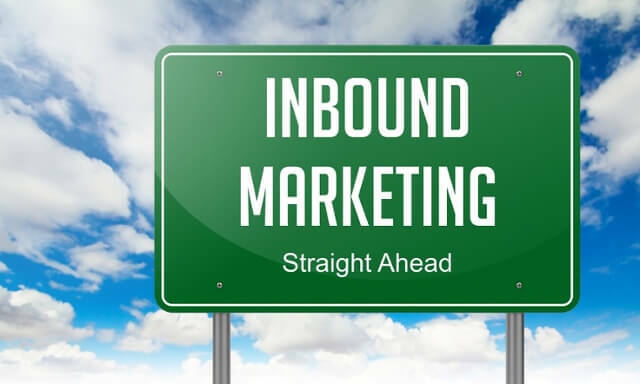 Please contact us if you would like to continue the conversation about marketing automation and inbound marketing, and how it can help to grow your business. Thank you once again to our guest independent reviewer Jamie Strachan for providing this article. 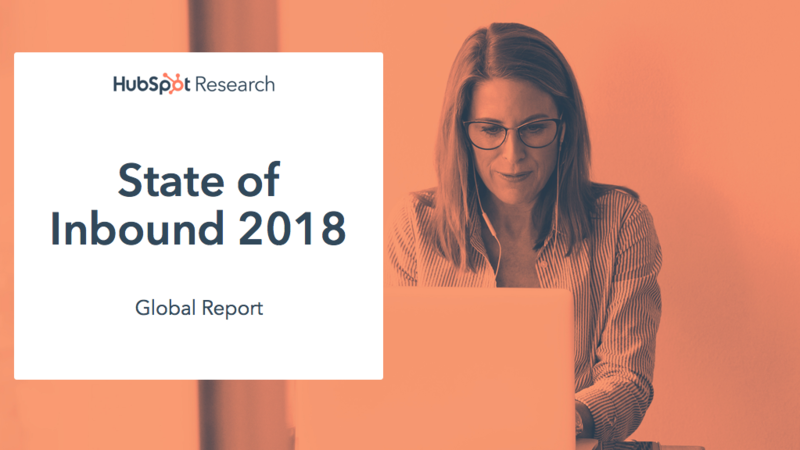 For further information about the current data and future of sales and marketing, feel free to register to download your FREE copy of the State of Inbound 2017 Report published by Hubspot.